Offering Dallas Security systems based on your specific needs. Business and building layout, including perimeter protection, card reader systems, parking lot gate systems, data security, and alarms. We have serviced a lot of businesses in Dallas. Making sure that we stay up to date on all building codes. For many years, Extra Locksmith has been servicing customers in Dallas and the surrounding areas. Taking pride in being the best security system service provider in Dallas! 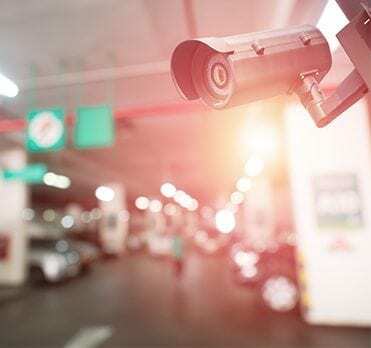 Providing everything from security system installations, access control, burglar alarms, fire alarm, intercoms, and security consulting services. Extra Locksmith provides high-quality yet affordable security systems solutions. Also, we are more than happy to service any other security needs you may have. We operate an exceptional locksmith service that caters to our customers in Dallas, Texas. At Extra Locksmith, no job is too small or too big for our locksmiths. They have many years of experience in providing high-quality and responsive security system along with access control installation services. Furthermore, aside from security system installations we are fully licensed, bonded and insured. Locksmiths at Extra Locksmith are trained to handle all locksmith services. Anything from a simple lock replacement to the more complex biometric access control installations. We are proud to offer our services on holidays so you are worry-free whenever you need locksmith services in Dallas. At Extra Locksmith, we provide honest, accurate and free quotes on security systems. Because of our affordable locksmith services, we have been able to thrive despite heavy competition in commercial, automotive and residential. Our clients speak volumes about our dependability and work ethic when you need a reliable security system installation. Let Extra Locksmith provide you with high-security solutions tailored to your specific needs. Contact Extra Locksmith today for an affordable friendly team of qualified locksmiths. We will be at your location as quickly as possible. We can respond to any of your emergency locksmith needs, anywhere in the DFW area. Searching for more locksmith services?